1 Welcome! Leprechauns, Music, Awards, Treasure Box. 2 Go Wireless The Squeeze Box. 3 DVD Review The Secret of the Kells. 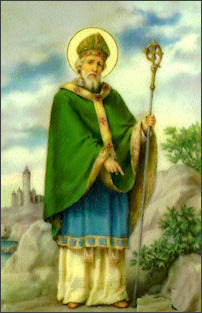 4 Video of the Month History of St. Patrick. Or in Gaelic - Beannachtaí na Féile Pádraig! Welcome back to the Celtic Radio Newsletter! We took a little break from producing our newsletter throughout 2010, but we are now committed to producing this journalistic endeavor at least four times a year. Expect a Winter, Spring, Summer and Fall edition to brighten up your email with the music and stories of Celtic Musicians and more! We will try to give you just the right mix of newly released "must have" CDs along with Community news from our site, featured music, DVD reviews, tales of Celtic lore and more. If there is something you would like to see in our quarterly newsletter, then please let us know! And now for a tale of Celtic Lore! Everyone that happens to cross our site eventually fi nds out about our unfortunate troubles that we have experienced since 2003 with a mischievous Irish elf known as a leprechaun. Some say we are fortunate, others say we are cursed. But let it be known that Celtic Radio has a history of being plague with leprechauns on St. Patrick's Day. One St. Patrick's Day the leprechauns were not happy with our website, so they made our site vanish in one quick swoosh! Perhaps that was a blessing as our redesign of Celtic Radio came out very nice. We should consider having a contest for our members to build the ultimate leprechaun trap for our studio, but we'd like to think they are just trying to get a message to us. In celebration of St. Patrick's Day, please join us on March 17th, 2011 for a day of prizes, fun and laughter. We've got CDs, T-shirts, Bumper Stickers and Posters to giveaway all throughout the day. We will be holding our famous, mega ginormeous prize giveaways on facebook through a brand new technology for us called LiveStream. If leprechauns are going to invade Celtic Radio, then why not share the experience with everyone on Facebook! You can preview our LiveStream page on Facebook which has a built in chat system and video stream. See you on St. Patrick's Day! The yearly tradition continues! Let us not forget that it is that time of year again for all Celtic Radio members in good standing to do their civic duty and vote in the Celtic Radio Music Awards! The voting booth is now open and ready to accept your votes! Be sure to listen to our special awards program on Highlander Radio to hear all of the nominated songs. The Celtic Radio Music Award is a program sponsored by Celtic Radio to acknowledge and promote exceptional Celtic music across 6 categories of music. Nominations for this award are made throughout the year by listeners and members of Celtic Radio. After a careful screening process, which is based upon listener nominations, ratings, requests, and other radio statistics; we select 3 songs in 6 categories for community voting. Categories for an award are Celtic Rock, Traditional, Jigs & Reels, Bagpipes, Contemporary and Roots Traditional. Voting begins on January 1st of each year (so get those nominations in) and ends on March 17th (St. Patricks Day). Winners receive recognition of this prestigious award through the induction into the Celtic Radio Hall of Fame and permission to use the Celtic Radio Music Award banner on their website. Album of the year recipient will receive a special Celtic Radio Music Award plaque! Start a new St. Patricks Day tradition with your family by making a treasure box and leaving it out under the moon on the night before St. Patricks Day where a leprechaun might find it. Legend has it that if a Leprechaun comes across a decorated treasure box under the moon, he must fill it with gold, jewels or gifts. After filling the box with loot, the leprechaun then hides it in hopes that no one will find it on St. Patricks Day because if it is found on St. Patricks Day the treasure belongs to whoever found it and remains in our world. If the treasure is not found on St. Patricks Day, then the leprechaun may retrieve what is rightfully his. We hope that you enjoy our resurrected newsletter and we look forward to providing you with our Spring Edition soon! Read it at work, at home, on lunch or while going mobile. As always, we do appreciate the warm and encouraging support that you provide to us and we hope that you find our website, broadcasts and services enjoyable and worth keeping bookmarked when you need a little Celtic musical sunshine in your life! Blackmore's Night is a Renaissance folk rock group led by Richie Blackmore (of Deep Purple) and Candice Night. The group got its names by combining their last names, Blackmore and Night, to create Blackmore's Night! The duo came together in 1989 when Candice Night was working at a local New York rock music station when she first encountered Ritchie Blackmore, who was then with Deep Purple. Blackmore and Night discovered they shared a love of Renaissance culture and quickly became a couple. The duo came together in 1989 when Candice Night was working at a local New York rock music station when she first encountered Ritchie Blackmore of Deep Purple..."
Just in Time for St. Patricks Day - Free Sample of Celtic Cream Helps Fix Celtic Skin Problems - TREASURE ISLAND, FL  Women with Celtic or fair complexions have had to deal with skin issues typically with little or no success  until now. 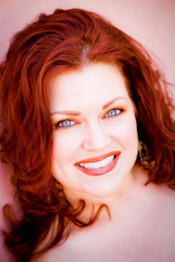 Holistic Esthetician Jennifer Devlin has launched the Celtic Complexion Beauty Society. Designed as a place for women with the Celtic skin type to communicate and share experiences with each other, its also where the first three products of Devlins skin care line are being launched. 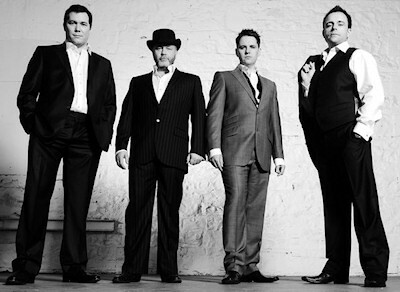 The High Kings exploded onto the folk scene in Ireland in 2008 with their self titled CD and DVD and quickly achieved platinum sales status there. Since then, they have become the most exciting Irish ballad group to emerge since The Clancy Brothers and Tommy Makem electrified the worldwide folk revival of the 1960s. "Memory Lane will be released in the US on March 8th arriving on our shores just in time for St. Patricks Day celebrations..."
The High Kings now return to the U.S. in March with a new album and tour. Memory Lane will be released in the US on March 8th (on Ard Ri Entertainment/EMI Music) arriving on our shores just in time for St. Patricks Day celebrations. Our March 2011 CD contest features music from Hugh Morrison, Albannach, Dala, Giant's Dance, Marc Gunn and Stephen Maguire. To be eligible for the monthly Celtic Radio contests you must post at least one message in the Celtic Radio community forums. 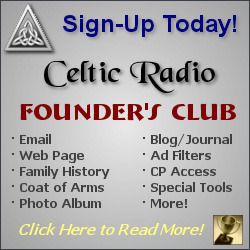 Or sign-up for a Celtic Radio Founder's account to be automatically entered each month! Winners to be announced April 1, 2011! In contrast to big-budget Hollywood CG features, The Secret of Kells is a welcome reminder of how warm, personal, and compelling traditional drawn animation can be. The story takes place in the eighth century, a perilous time when Viking raiders threatened to destroy Irish civilization. Since his parents were killed by Vikings, 12-year-old Brendan (voice by Evan McGuire) has lived within the walled monastery of Kells under the stern eye of his uncle, Abbot Cellach (Brendan Gleeson). Listen to the top ten count down on Highlander Radio. Visit our broadcast schedule for play times.